Finally the time came! You had been waiting for months to see them. You were so excited, you couldn&apos;t believe you were actually seeing the vamps in concert. You had been a fan from the start and loved all the members. You obviously had a favourite, which was Connor. You loved how cute and mysterious he was. You and your friend, Georgia created a huge sign that you both were going to take with you! 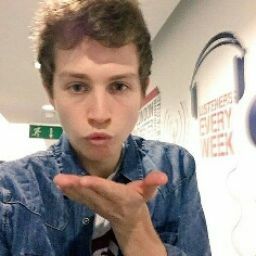 On the sign it had &apos;Future Mrs Ball and future Mrs McVey here!&apos; as you loved Connor and your friend loved james. You both also had your twitters on the sign. You and your friend walked into the place where they were performing. There were loads of other vampettes there running around and screaming! &apos;We need to stick together so we dont get lost&apos; You said to Georgia. &apos;Okay,let&apos;s go this way and show our tickets&apos; She replied pointing over to a woman who was checking tickets. You both walked over and checked your tickets. She smiled when she saw your sign. You had standing tickets so you got as close as you could to the stage. About half an hour later it was time for the boys to come on. You felt butterflies in your tummy. You were really excited, but you felt nervous at the same time. Everyone screamed as the boys ran on stage and started singing last night! You and your friend started singing along while holding up your sign. They sang a few songs. &apos;Now, we are going to do something a bit different tonight!&apos; Brad said, with a smile on his face. 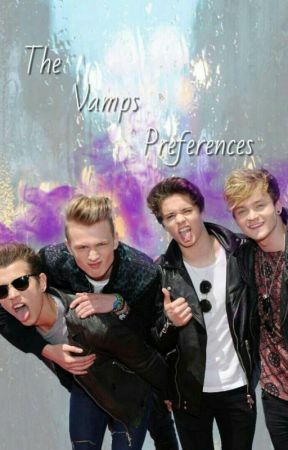 &apos;Yeah, we are each going to chose a pretty lady from the crowd&apos; Tristan added. &apos;Then we will sing our new single to you&apos; James said. &apos;Let&apos;s do it, hold up your signs ladies&apos; Connor said with a cheeky smile on his face. The boys looked around to chose a girl. They all whispered to the man who was working as security. Suddenly you saw the security man walking up to you and Georgia. &apos;Excuse me, Connor and James want you two to go on stage&apos; The security man said. &apos;Omg are you serous?&apos; You asked in shock. &apos;Yes&apos; the man said. &apos;Come on Izzy let&apos;s go&apos; Georgia said to you. You both followed the man onto the stage. You were just about to meet the boy that has changed your life forever. You saw James and Connor walk over to you! James took Georgia&apos;s hand and Connor took yours. &apos;Hey, you okay?&apos; Connor said to you quietly. &apos;Umm, hi yeah I&apos;m fine. what about you&apos; You said nervously. &apos;I am now&apos; He replied smiling at you. The boys each sang a part of somebody to you to there chosen girl. Connor sang to you, James sang to Georgia, Brad sang to a girl called Chloe and Tristan sang to a girl called Amy. After the song finished you each took selfies on stage with the boys. &apos;Can I look at something on your phone a sec?&apos; Connor asked you. &apos;Yeah sure&apos; You replied handing him the phone. He took the phone and did something and handed it back, locked. You and your friend got off the stage. You them unlocked your phone to see what Connor had done. You noticed he had put his number in your phone. You had Connor Balls phone number! -Sorry I posted this on my instagram and thought I could post it on here:). -Maybe comment what you think please?